Subiaco is a marvelous medieval village near Rome that rises on the Aniene Valley, on a limestone rock. An area full of artistic, cultural, environmental and natural attractions, not surprisingly considered among the most fascinating villages in Italy. 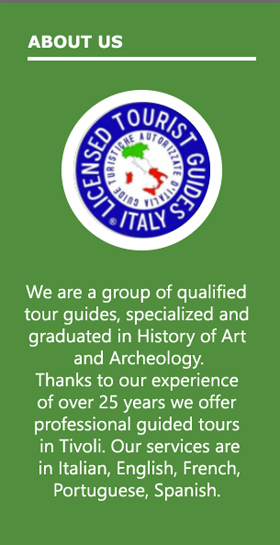 The guided tour of Subiaco that we offer has a duration of 7/8 hours for groups of up to 30 people: the cost starts from € 350 and does not include transportation. The tour provides a thorough analysis of what are the main attractions of Subiaco. You can reach Subiaco easily both by car, along the A24 motorway; than by public transport from the Ponte Mammolo station in Rome. The guided tour of Subiaco that we offer includes the following visits: the Santa Scolastica and San Benedetto Monasteries. The first is one of the symbols of Subiaco, founded in 520 AD. and which was once called the monastery of San Silvestro. Today the monastery of Santa Scolastica is a testimony of one of the oldest Benedictine monasteries in Italy and the world. 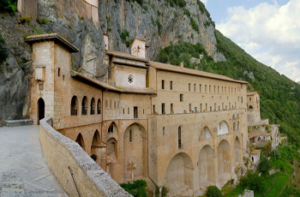 The famous founder of the Benedictine monks’ order, San Benedetto, founded 13 monasteries in the Subiaco area. Santa Scolastica is probably the best known and bears the name of the sister of San Benedetto. The other great monastery is the one that instead bears the name of St. Benedict himself: it rises in an area where, in the sixth century, the friar spent three years of his life as a hermit. The monastery visible today was built in the thirteenth century and is a place to visit absolutely when you go to Subiaco. In addition to the Benedictine monasteries, which represent a huge wealth of this territory, in Subiaco, there is a wonderful historical center equipped with religious buildings that give an unmistakable charm to the landscape. Also of great interest is the medieval village of Opifici, home to the ancient workshops of artisans until a few years ago. Subiaco also offers a considerable number of places of great naturalistic interest with an evocative view of the Simbruini mountains; and with a series of woods, forests and ponds in which to enter in perfect harmony with nature. 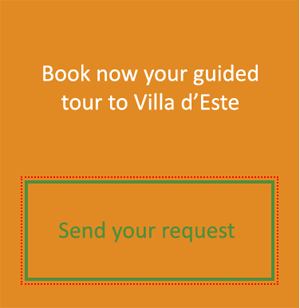 You can contact us at any time to request information on our tours and guided tours.